Are these Sneakers right for me? Why you should give Baabuk a try? 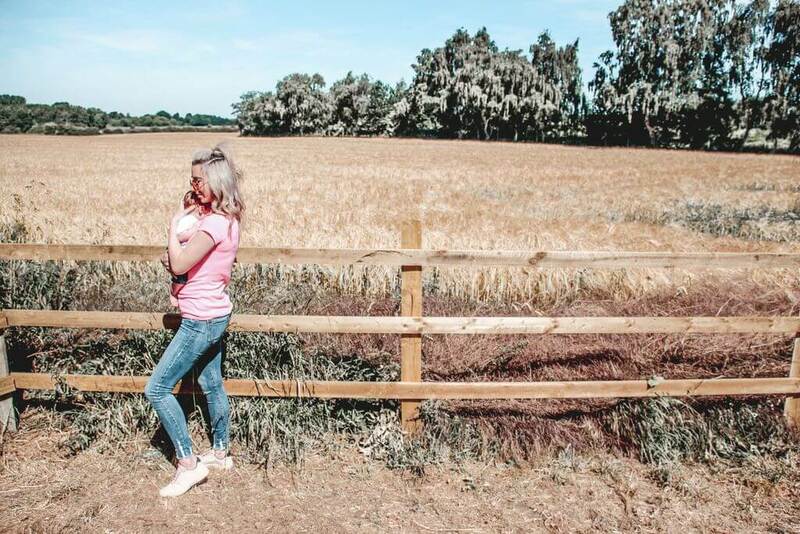 When Babbuk got in touch with me to see if I’d like to try out their Urban Woolers (check them out on Amazon) I was very excited to say the least, why? because I’ve been after some comfortable, lightweight durable sneakers for a long time. Although travel is my passion I actually own a Pet Care business and walk around 15 dogs a day, so comfortable shoes are essential to me! 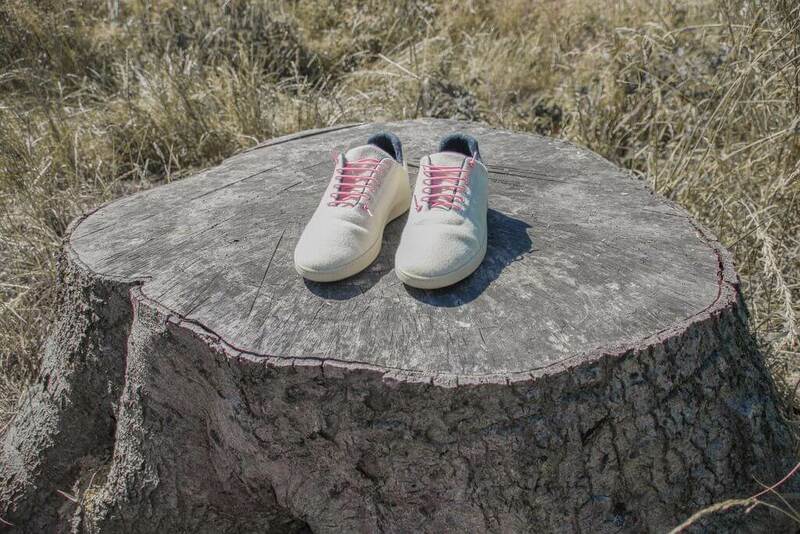 If you’re looking for some comfortable durable wool sneakers, then this Baabuk Urban Wooler review should answer all your questions and give you a good insight to everything you need to know about this fantastic brand. 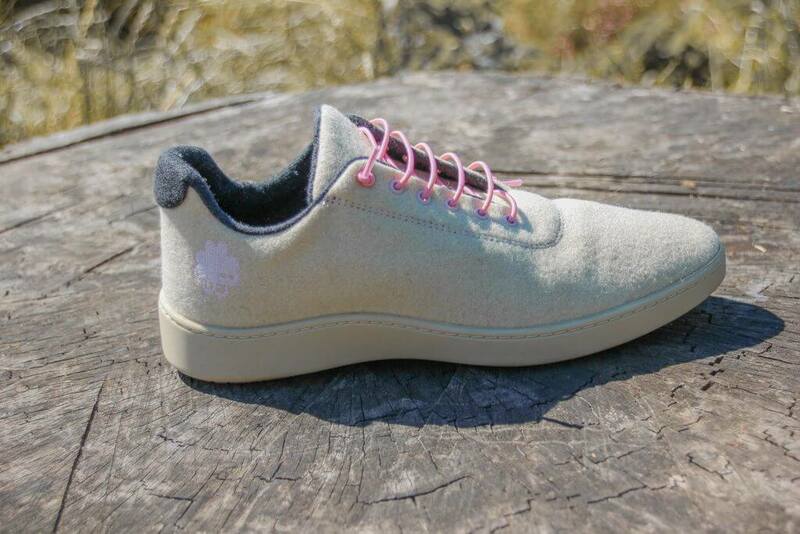 I heard about Baabuks 100% wool sneakers (or as we call them here in the UK trainers) and my first thought was “wouldn’t they be too hot to wear in the summer? !” what I didn’t realise is that they are completely breathable being made from wool which regulates temperature better than most insulators meaning your feet won’t be as sweaty and smelly, something my 4-year-old could do with, I’m not joking since he was a newborn baby he has had the worst smelly feet!! Baabuk, when you start making kids sneakers please let me know!! My pair of Baabuk Urban Woolers arrived with impressive speed all the way from Germany. They were packed well, and I was very excited to open them to try them out. I have to admit I have a love hate relationship with shoes as I have extremely narrow feet and find it hard to find comfortable shoes that stay on my feet! I need not have worried as the Urban Woolers fit like a glove! You are my new favourite shoe!! 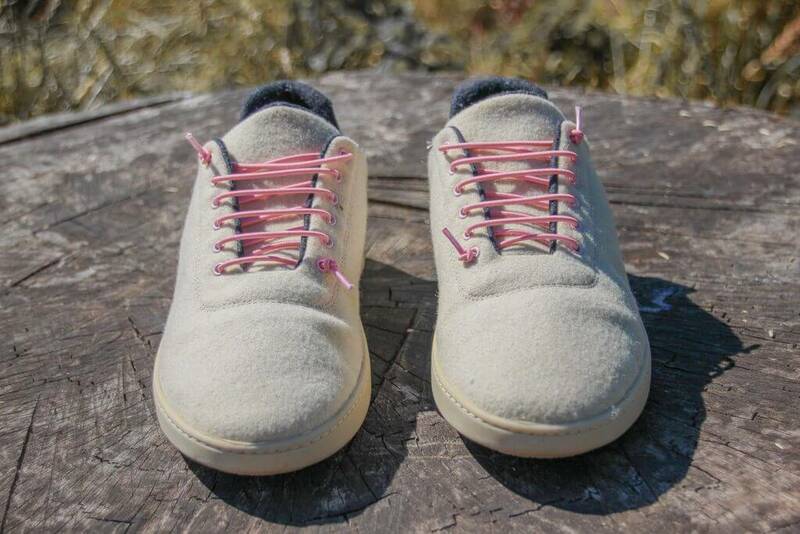 I chose the Urban Wooler in cream with pink laces, when I say laces what I should really say is thin elastic no-tie “laces” in replacement of the normal laces which are tied at each end. I particularly liked this idea of not having to do up laces and being able to just slip my bare feet straight in, yes, I did say bare feet!! These shoes are that comfy you don’t even need socks. They are temperature regulated so they will keep your feet both warm or cool depending on the weather. Its saying something if I can wear no socks, I hate having cold feet and I just hate having no socks on in general even when its boiling hot! My husband thinks I’m mad so when he saw me ready to go out in my urban Woolers with no socks on he was wondering what on earth was going on!! I can confidently say I didn’t miss the socks and felt completely comfortable! 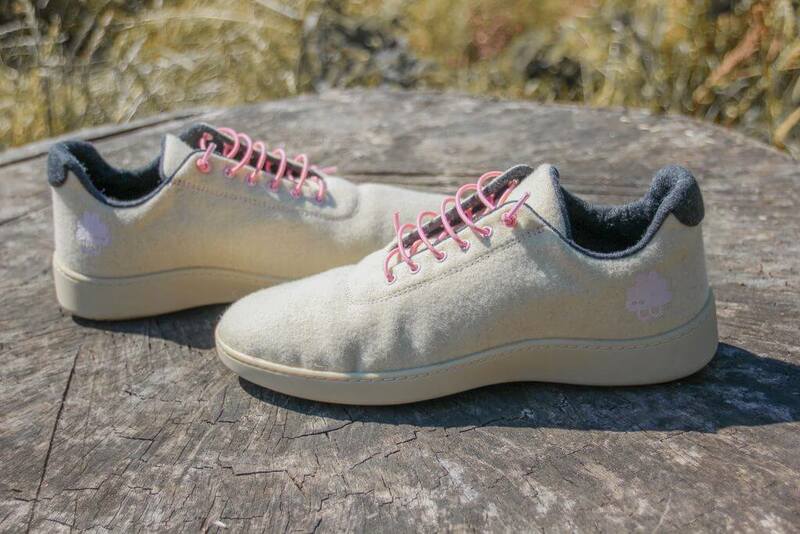 The Urban Woolers are a lovely shade of cream with the logo located on the outside of the shoe in baby pink, slightly lighter than the laces. The inside of the sneaker is lined with navy wool and the sole is made from lightweight durable rubber. The sneakers have detailed pink stitching along with a cushioned heal for added support and comfort. What I also liked about these sneakers is the removerable sole which has great arch support and represents the natural shape of the foot, something I need as I have a very high instep. The Urban Woolers are Thermo regulating which means they react to your bodies temperature. I decided to test this out on one of the hottest days of the year here in the UK. It was 84 degrees and we took our baby out for a walk in the sunshine. I wore no socks and I have to say my feet didn’t sweat at all. That’s probably down to the fact that The Urban Woolers are Antibacterial and Oder resistant. They have great breathability and it’s all down to the air pockets that break down any moisture making it less likely to sweat. Not only were they extremely comfortable they were also cool on my feet! Very impressed! Another great feature is you can actually wash them in the washing machine on a wool wash with special wool detergent then let them air dry. The Urban Wooler is also water repellent which is something we definitely need here in the UK! Even if they do get a little wet the drying process will be very quick! I wear a size 39 (size 6 in the UK) and the sizing was perfect and true to a size 39. Baabuk’s sneakers are also unisex and range from size 35-48, I will have to get the hubby a matching pair! If you are after durable comfortable everyday sneakers, then yes these are the sneakers for you. Being made from 100% wool means they are 7 times more durable than most sneaker material meaning they will most likely last you a lot longer. Not only are they extremely comfortable from day 1 but they actually adapt to your foot shape and become even more comfortable as time goes on. They are the perfect sneaker for any temperature, whether it be hot or cold as the wool regulates to your own body temperature. I personally will be talking them on my travels as I’m all for comfort when travelling. Breathable, Oder resistant and antibacterial – Wool regulates to the bodies temperature so if it’s cold outside they will keep you warm and snug but if it’s hot outside it will keep your feet cool meaning less sweat and more comfort. Colourful and eye catching – The Urban Wooler comes in 9 different exciting bold colours for you to choose from. Water resistant – The Urban Woolers are water resistant meaning they won’t get too wet and even if they do the wool will dry very quickly. Unisex sizing – baabuk are a unisex brand so sizes range from 35 to 48, now you can have cool matching shoes! Washing machine friendly – The Urban Woolers can be washed in the washing machine with special wool detergent then be left to air dry. Quick delivery and excellent customer service – Baabuk were extremely professional and the Urban Woolers arrived quicker than if they had been posted from the UK!! You can buy directly on their website www.baabuk.com where there is free shipping in Europe or Amazon. Overall the Baabuk Urban Wooler are a high quality comfortable shoe that can be worn in the summer or winter due to the breathable oder resistant wool. 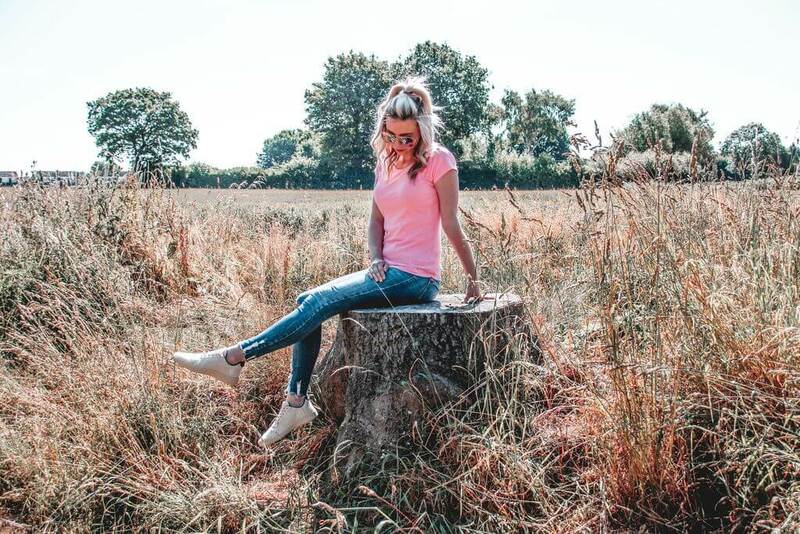 They are perfect for adults looking for a sneaker that will be durable and last without becoming worn.I love that they are unisex and come in a range of colours. Additionally, the elastic laces make for easy on and off, while the thermoplastic rubber outsole maintains a lightweight feel underfoot for day-long comfort. Baabuk are a swiss company founded in 2013 by Galina and Dan who were inspired by the traditional Russian ‘Valenkis’ Galina wore as a child. 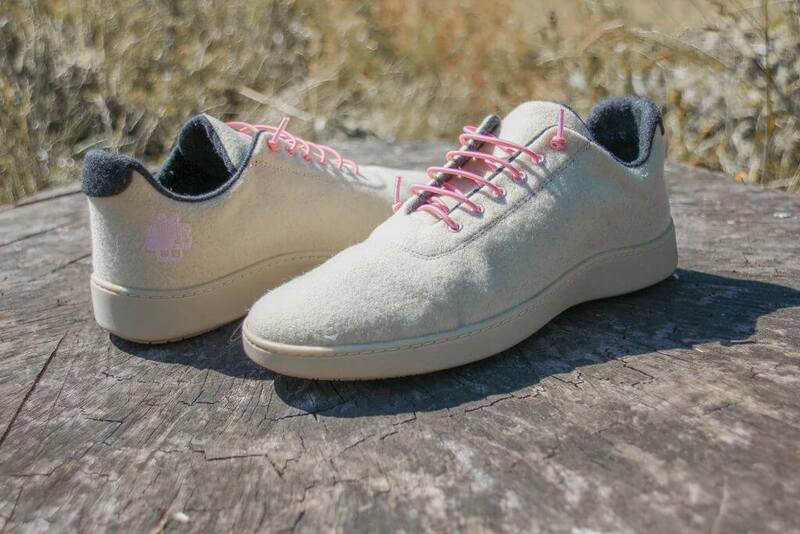 They originally started off by making 100% wool slippers in Nepal, they then had the brilliant idea of making sneakers out of wool and chose Portugal as the county to do this due not only to their excellent knowledge and expertise in shoe making but to also help preserve the local wool industry. The happy, healthy sheep are sourced from the natural park Serra da Estrela and every effort is made to preserve the environment by using sustainable and renewable sources. Baabuk reduces their emissions by carefully selecting where they make the sneakers making sure it’s only 200KM from Porto. A very respectable and honourable thing Baabuk do is pay workers in Nepal 25% higher salary then average. Interestingly the project was successfully funded by crowdfunding and Galina and Dan are not yet finished, with more ideas to come. We can’t wait to see them. I can honestly say I would recommend these sneakers to anyone. They have to be one of the comfiest shoes I have ever worn. Even in the heat my feet did not sweat and being able to wear no socks with a pair of sneakers is an added bonus. I have no doubt these Urban Woolers will stand the test of time as the quality is top notch! Baabuk you have done a fantastic job with these sneakers and I look forward to seeing your latest trends.